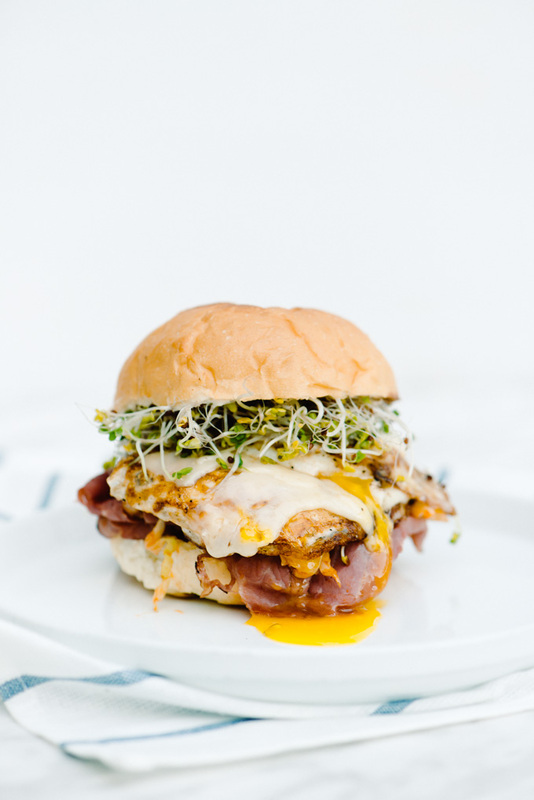 Spicy cabbage, briny pastrami, melty cheese, topped with a gooey fried egg, and some fresh broccoli sprouts. In a pan on medium heat, add a drizzle of olive oil. Once heated, add shredded cabbage. Saute cabbage until softened, about 3-5 minutes, adding vinegar and sriracha about half-way through. Toast your bread or bun, spreading a generous amount of mayo on each side. 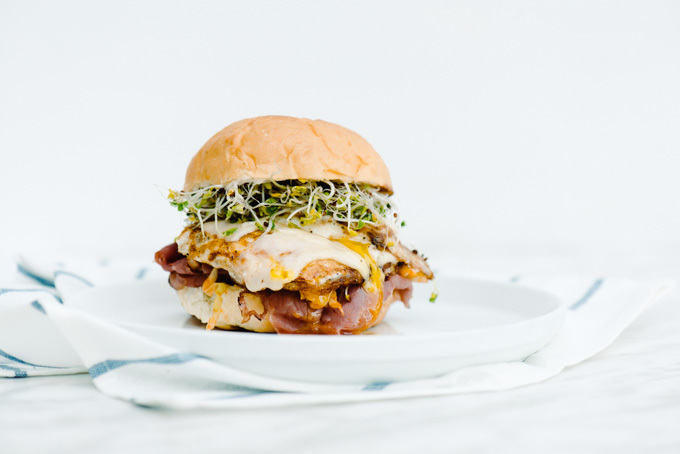 Once cabbage is sauteed, place on bottom bun. In the same pan, give a your pastrami a quick sear, about 1 minute, until heated through. Place pastrami on top of cabbage. In the same pan, turn up the heat a notch or two, adding some more oil to the pan. Fry both eggs to your preference (I decided to go with over easy on this one). 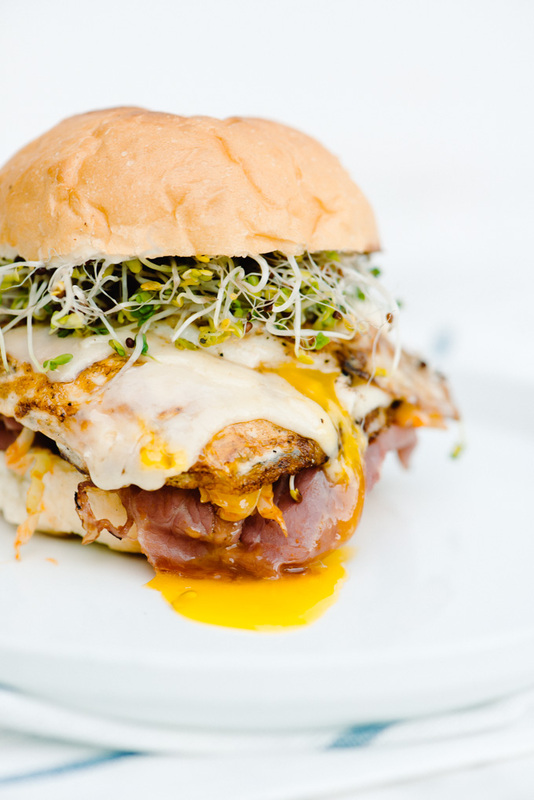 While your eggs are still cooking, place cheese on top, helping it melt, then place onto sandwich, top with sprouts, and bun.